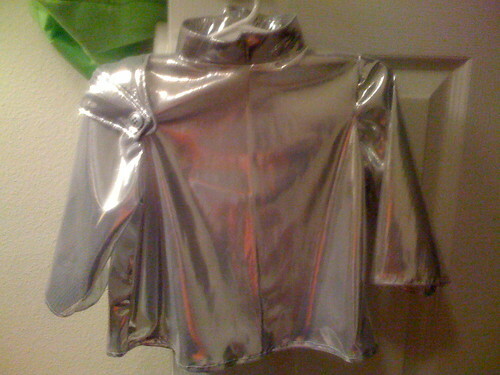 I knew this would happen at some time during this project, but the tin man has officially taken over! :) Before I dive into that story, I will tell you that we've been working on our family vision that came out of this project. We've also implemented a schedule to help us get our chores done and give us more time to be creative! Tonight, I started on two new projects, but I'm not far enough into either of them to say much, so I'll save them until I get a bit farther. I spent a good portion of the weekend on those little pieces that will become the joints at the elbows, shoulders and knees. 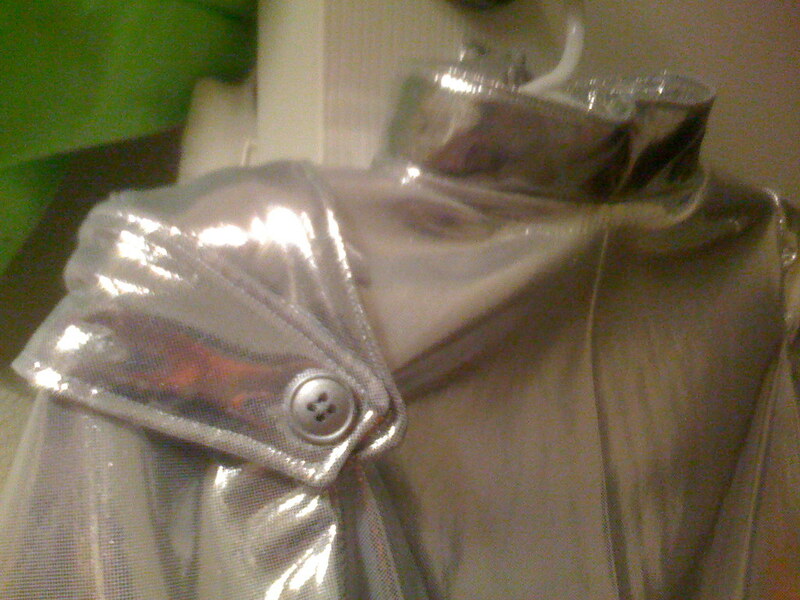 You can see one of the shoulder joints in the picture of the finished shirt. 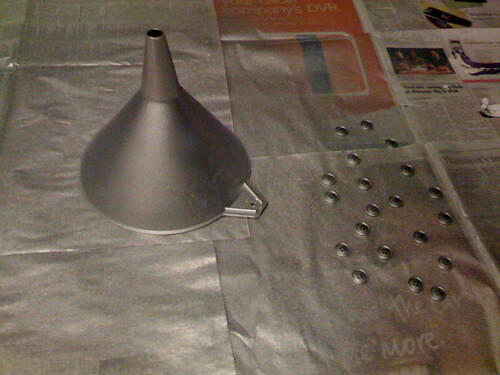 The husband helped me by spray painting the funnel that will be a part of his hat and the buttons. I couldn't find any good silver buttons that weren't too expensive, so we decided to spray paint some cheap black buttons, instead. That's what I love about sewing Halloween costumes – they just have to last a few hours so I can use things like spray paint and liquid stitch (which reminds me a lot of Elmer's)! At this point, the shirt is finished, minus three of the joints, and the pants are seamed together, I just need to do the waistband and the hems. Then there's the hat, which I seriously doubt he will wear for more than five minutes, and I'll be done! If I had to guess, I would say I'm at least 50% finished. I'm just aiming to do a little bit each night so that it's not too overwhelming! 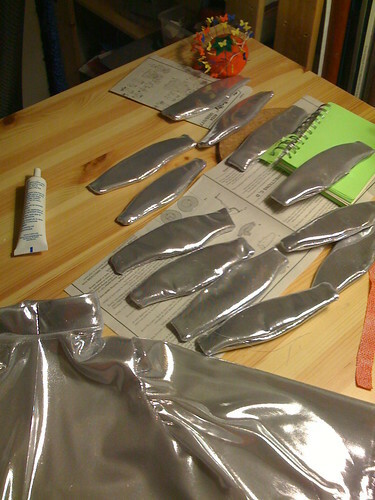 The husband thinks he's going to look like Michael Jackson, so maybe I should look make him a sparkly glove.